AppAnnie has just released a report on Average Revenue Per User in five major regions (Japan, China, the US, South Korea and the UK). Annoyingly, it doesn’t give actual ARPU numbers. Instead it indexes them to give a comparison between the markets. The key chart is below. This flies against conventional wisdom, particularly that China is a high volume, low ARPU market. 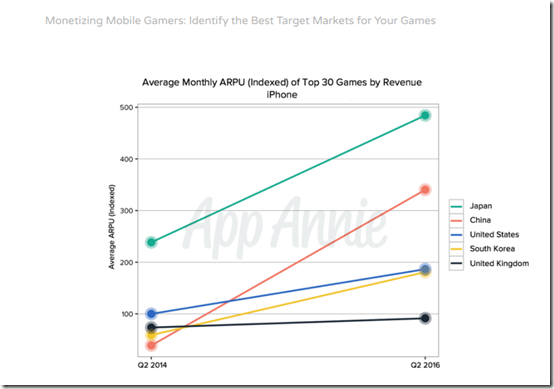 You can now get a bigger audience AND bigger ARPUs from launching your game in China. No wonder the centre of gravity of the games business is shifting eastwards so fast. A second chart shows how fast this change has happened. Over the past three years, China has moved from the bottom of this list to second, increasing its ARPU by a factor of 10. Japan’s growth in that period is pretty impressive, too. RPG and strategy games do the best for monetisation. 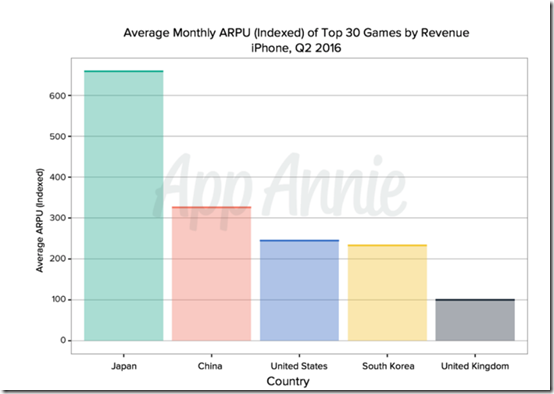 Four of the top five games by ARPU in China were MMORPGs, and all were ports of existing PC based MMOs that had a big following in China before smartphones took off. 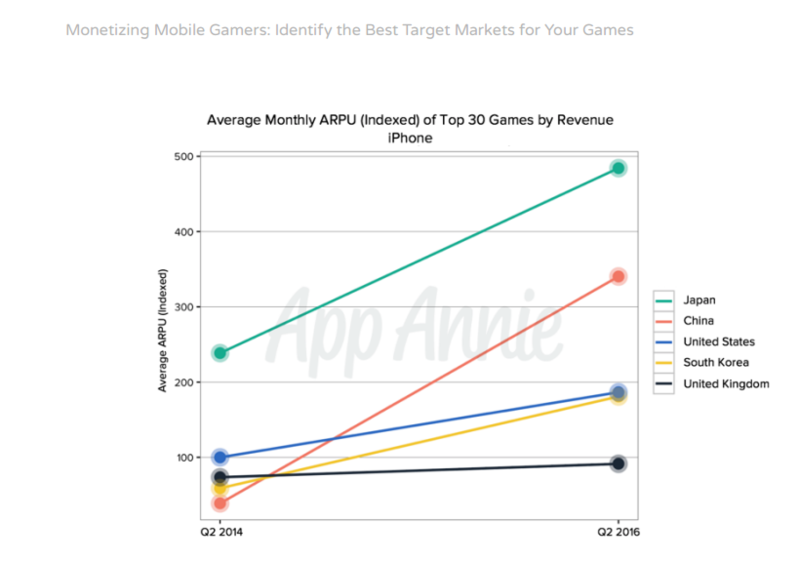 You can find the full report on AppAnnie’s blog.